As you likely know by now, this year saw L.A. Pride cancel its annual parade, replacing it with the more politically charged #ResistMarch. As thousands of marchers poured into the streets of Los Angeles on Sunday, June 11, YouTuber Jeff Garber flew across the country to speak with the marchers. In the video above, he speaks to them about why they’re marching and how they feel about the change. 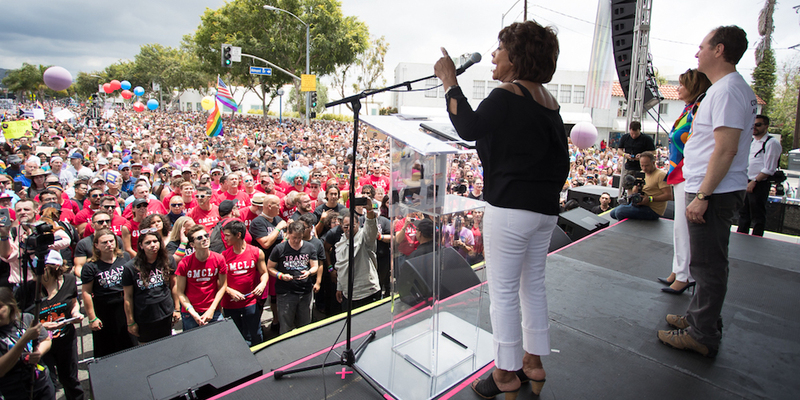 For those who weren’t able to attend L.A.’s #ResistMarch — or the march that took place that same day in Washington, D.C. — here’s your chance to see footage of what you missed in California. 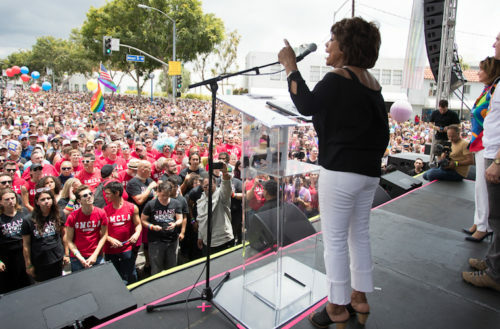 Speakers ranged from the state’s local politicians (Adam Schiff, “Auntie” Maxine Waters, Nancy Pelosi and Ted Lieu) to the founders of the Black Lives Matter movement, RuPaul and Margaret Cho. If you’re unable watch the entire video, be sure to at least jump to 2:57, where you’ll hear Margaret Cho throw some hilarious shade at Trump’s makeup-blending skills.